With a population of 141,000 living is a mix of urban and rural communities spanning across 1714 km², Mid Ulster offers lots to do and see for its citizens and tourists attracted to the area. Whether it’s history and heritage, adventure and activity, sports and fitness, the arts or music there is always a reason to visit and stay in Mid Ulster. The vision and strategic direction for establishing Mid Ulster as a mecca for tourism has been outlined in the Mid Ulster Tourism Strategy and Action Plan 2021. This is living document, it is continually evolving to take account for investments, successes and external influences. Mid Ulster Council is not solely responsible for the delivery of this plan, it is also the responsibility of the tourism industry, local community and stakeholders who will work collectively to achieve the aspirations and vision to make Mid Ulster a vibrant tourism destination. Mid Ulster is steeped in history it has a renowned for its natural heritage and architecture, outdoor amenities, it is surrounded by the Sperrin’s (AONB) and it is the homeplace of Seamus Heaney MRIA and Charles Thomson who sign the American declaration of Independence and let’s not forget the history surrounding Lough Neagh. It truly offers visitors to the area an immersive and memorable experience. Now planning your visit to Mid Ulster has got easier. 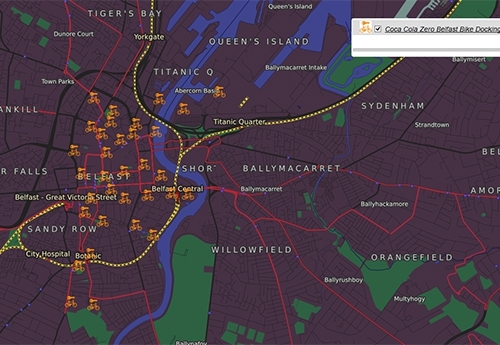 Using data from OpenDataNI you can now plan where to visit and stay using our interactive map. To make things easier we have segmented the data into two groups relevant to both residents and visitors. This allows visitors to locate local amenities such as local attractions, eCharging points, service stations, public toilets etc with little local knowledge. Visitors can also complete proximity searches from a destination in either miles, kilometres, meters or feet. This map also highlights crucial information such as the location of defibrillators (AED’s). There has never been a more exciting time to explore and #visitmidulster than now and we hope this map enables you to effectively plan and enjoy your visit. The people of Mid Ulster look forward to welcoming you. If you find this map useful please let us know by connecting with on Twitter and Facebook. Celebrate National Bike Week by locating your nearest bike station in Belfast City Centre. 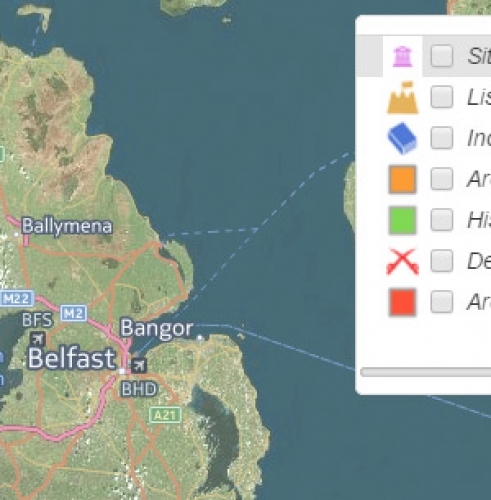 Using data from Open Data Northern Ireland, view the location for all historical sites.